There’s a good chance that you probably won’t get to the end of this article. That’s because of our inherently short attention span, which, according to the experts, just got shorter. “Attention span” is defined as the amount of time that one spends concentrating on a particular task before being distracted. In case you haven’t been paying attention, back in 2015, the Consumer Insights team at Microsoft carried out a study on 2,000 Canadians and found that our attention span has dropped from 12 seconds to just 8 seconds. Since Microsoft is a pretty reliable source, we’ll take their word for it. So, what does this mean for online marketers? The overflow of ads online and on various social media platforms combined with this shorter attention span certainly does not bode well for marketers. It means that to adapt to the information blur, marketers have to come up with new strategies to get the most out of their PPC campaigns. Here are a few tactics worth considering. The internet is growing bigger. This means marketers need to stop focusing solely on search engines such as Google and Bing and start looking towards other channels to find their audience. 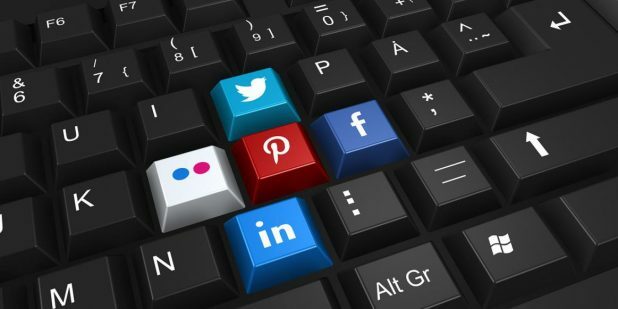 Some of the channels that you can use include Twitter, LinkedIn, Facebook, Yahoo Gemini, Outbrain, Instagram, and Quora. Not all audiences are going to be at the same place in the sales funnel. Marketers need to take inventory of the various CTAs they use to see which one fits well for each stage of the client’s journey through the funnel. It is also important to remember that people don’t usually buy on their first visit, and they need to be convinced. Mapping conversion actions will give you the information you need to realize what you’re doing right and what you’re doing wrong and fill the missing pieces. What you don’t want your ad to be is boring. That’s because boring PPC ads are easy to forget, especially if no one is intrigued or moved enough to click on it. To avoid creating PPC ads that are boring, choose your words carefully, know what your target audience wants and address it, and focus on what makes your product or service stand out. PPC managers should get familiar with scripts to automate the repetitive tasks of their Google Ads accounts, which can save you some time to dedicate to other more important tasks. Surprisingly, many PPC managers prefer not to use scripts since choosing one can be overwhelming. That being said, using AdWords scripts is a great way to automate repetitive, cut-and-dry tasks. There are quite a few opportunities that PPC managers can take advantage of to increase the ROI of their PPC campaigns. For instance, a good place to start is by using detailed demographics (marital status, home ownership, income, education etc.). In-market and custom intent are great sources of finding buying cues and signals left by your target audience. Since your audience is basically a group of people who have been grouped together by their interests and online behaviors, you can break these categories down further for a more refined and targeted PPC marketing approach. That’s because voice search isn’t on the way, it’s already here. While you might not be getting a large number of voice searches at the moment, you need to be ready to respond to information for voice searches. You can prepare your PPC campaign for voice search by catering to conversational long-form queries that have high local worth. A growing number of audiences are using mobile devices to research on products and services before making a purchase. For the PPC manager, this is a do-or-die situation. Those who don’t get the memo and start optimizing their PPC ads for mobile search will be leaving money on the table. 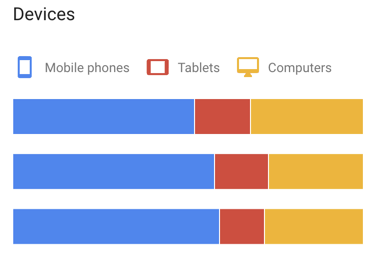 The new Google Ads interface offers a snapshot of how your content is performing on various devices. PPC managers can use this data to create more effective PPC ad campaigns. Google Ads introduced quite a few new features with its last update. Some of the features included Promotion extensions, allowing PPC marketers to show off their products with a percentage or dollar discount symbol. Making bid adjustments for phone calls is another nifty feature that can drive those ads to be used more often. PPC managers can determine whether or not to take advantage of this new feature by seeing the ad and call impressions. Outstream was another tool that was introduced in Google AdWords just last year, and it works exclusively for mobile devices, as in app and web environments. The service is limited to Google/YouTube video partners, but it’s a great feature for PPC managers. All you have to do is choose the brand awareness along with the reach goal and select the Outstream campaign subtype. The ad will also need to have a YouTube video, headline, logo, description, and URL. While an audience is not going to replace keywords any time soon, it doesn’t mean they can’t be leveraged in PPC campaigns. Audience targeting is mainly used to leverage bid modifiers to adjust bits based on the performance of an audience. To do that, go to the Audience tab in the search campaign and choose Observation in the ad group you want. In the Audience tab, the data will then be broken down by those Observation audiences. This allows PPC managers to adjust bid modifiers according to their CPA goals for each PPC campaign. The aforementioned tips should keep the wheels of your PPC campaign spinning in the New Year and beyond. Many startups and SMEs find it difficult to keep up with the changing trends in PPC. If you are one of them or simply don’t have the time to dedicate to PPC efforts, then you should hire a professional white label PPC service. Writer by day, reader by night, Matthew Smith was exposed to the world of digital marketing at a young age and has spent years honing his skills that are largely self-taught. He has written for some of the top websites, sharing his vast knowledge on Search Engine Optimization and PPC white label, online earning and a lot more. The post 10 Ways to Get the Most Out of Your PPC Marketing Campaign appeared first on SiteProNews.